The Brothers Paris, an association of African-American men in Paris, held its 3rd annual Spring Gala on May 31st. 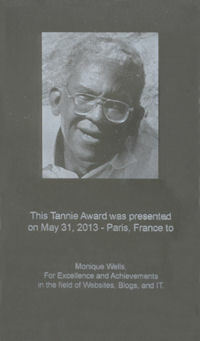 This year, the 1st Annual Tannie Award ceremony was held at the event in honor of Brothers Paris founder, Tannie Stovall. The Brothers awarded prizes for achievement in several categories, including Business, Entertainment, Visual Arts, Cinema, Theater, Film, Literature and Writers, Politics, and Webzines, Blogs, and IT. 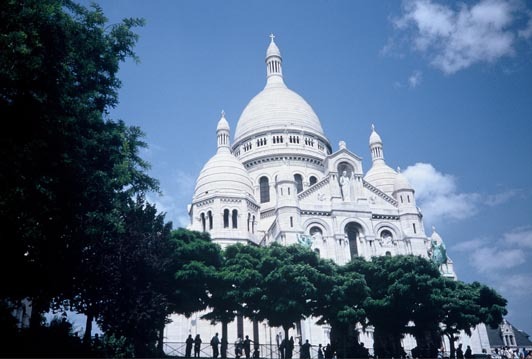 Entrée to Black Paris was nominated three times in two categories: Literature and Writers, and Webzines, Blogs, and IT. Our own Monique Y. Wells won the prize for Webzines, Blogs, and IT. Congratulations, Monique!